Thanks once again to @evleaks, we have another official press image of a device moments before it has been officially unveiled. 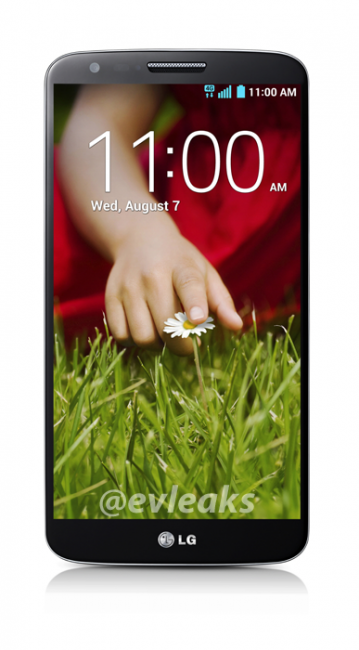 This time it’s the LG G2 which will be introduced by LG at a press event in NYC tomorrow morning. Tim is already in NYC preparing for the festivities, which we’ll also have a live blog of. The image above confirms the massive display, but also the rear-placed volume rocker and power-lock switch. Since the device appears to be incredibly slim, this placement of the physical buttons is probably a smart play, even if it could take some getting used to. The G2 is expected to sport the world’s slimmest 5.2″ FHD display, Snapdragon 800 (quad-core) processor, 2GB RAM, microSD card slot, removable battery, on-screen navigation buttons, and at least Android 4.2.2 with LG’s newest custom skin on top. 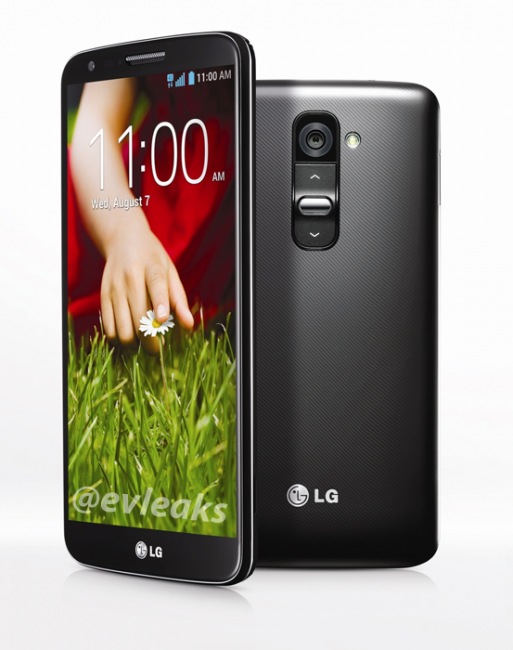 Rumors suggest that we could see a multi-carrier launch for the G2, a first for LG. Verizon is reportedly already on board.